The African Art Centre is one of the projects of FWCF (“Friends of Wumenu Community Farm” SC037724) in Glasgow. The African Art Center opens 7 days a week, with services and activities taking place daily. Collections of African Arts are displayed at TAAC. From time to time TAAC organises art exhibitions and storytelling from Africa with pictures and sculpture. TAAC welcomes contacts from artist to use the TAAC's art gallery for the exhibition of their Art works. 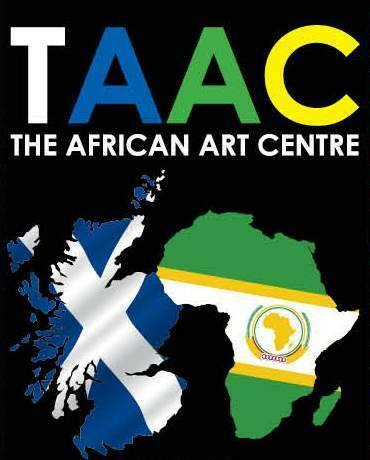 TAAC aims to support, develop and empower the African community in Glasgow and its environs to help them become active integrated successful citizens in Glasgow through visual and various performing arts events. This will combat social isolation of the Africans within the Glasgow communities. TAAC will also act as sign-post to referring Africans to relevant support providers as may be required per individual’s case. TAAC has a community hall which can sit in excess of 200 people; and aims that this will become a vibrant community hub with activities for all ages from time to time throughout the year.